The International team singing Kazakh folk song "Dedim-ay, au!" 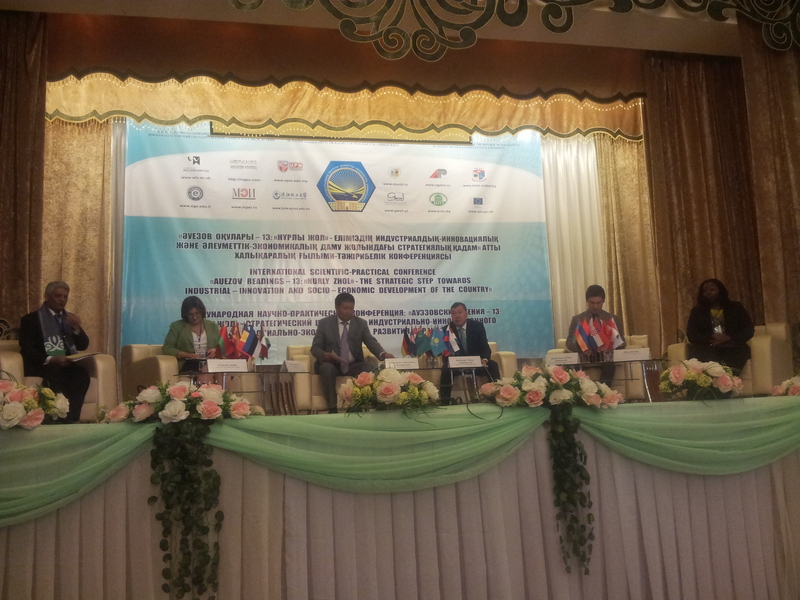 The International Team was invited to take part in the International scientific-practical conference “AUEZOV READINGS – 13: “Nurly zhol” - the strategic step towards industrial – innovation and socio – economic development of the country” South Kazakhstan State University. Some members of the International Team represented the school at the conference's plenary session and main part. From the 26th of March to the 1st of April 2015 the Internation team held professional development courses on "Critical Thinking" and "Team-teaching" designed for teachers assistants of our school. The week entitled, “Unity through Diversity” at our school was filled with activities and events for both students and teachers alike. One of the contributions was the delivery of a professional development presentation on critical thinking skills. More specifically, a PD on Thinking Routines was delivered on their use both in and out of the classroom to develop good reasoning habits which boost lifelong learning. Having been an English teacher for 25 years, I believed I had done and seen it all. How wrong I was! Although I knew that I would be team teaching at NIS, as I had been asked about my previous experience during my skype interview, I really didn’t know what or how much of it to expect. My feelings when I learned that I was going to be co-teaching each and every lesson with a local teacher varied from apprehension to a stoic optimism that I could handle it, since I’ve handled so many other difficult situations in my career. It is been more than 3 months now since I started to mentor some of the local teachers I work with, and so far the experience has been very grateful. As I posted in my previous article since most of my local teachers were new in the subject I decided that the best way to help them would be preparing all their Lesson Plans and Classroom Activities for the first 2 terms. It has been a big challenge since a lot of extra work fell on my shoulders. Nevertheless I think this approach was helpful. Along with this, another way to help them improve their teaching skills has been do classroom observations and video recording before giving them feedback. Shouting and being rude can be educational and fun. Shakespeare, is in my opinion, one of the greatest, if not THE greatest English playwright and poet. He has enriched the English language beyond measure. He has an amazing understanding of the human spirit and creates characters who seem so realistic and believable whatever the time and place. His works have been translated into countless languages and his plays are regularly performed all over the world more than 400 years after his death. If you have never seen one then I urge you to do so as soon as possible. The primary goal of our lesson was to teach grade 9 (G9) the basics of conservation of energy in a memorable way. Energy can neither be created nor destroyed, but it can change forms; and some energy is wasted when changed from one form to another. For example, friction changes some kinetic energy into heat, motors produce noise, and some machines even produce light. Heat, sound, and light are common ways that energy is wasted as a machine operates. Bahrain as a Mathematics Teacher at Abdul Rahman Kanoo International. After two years in Bahrain, following a friend’s piece of advice, I applied for a teaching position to Nazarbayev Intellectual School (NIS), and I have been working at NIS Shymkent (Physics and Mathematics) for the past one and a half months. 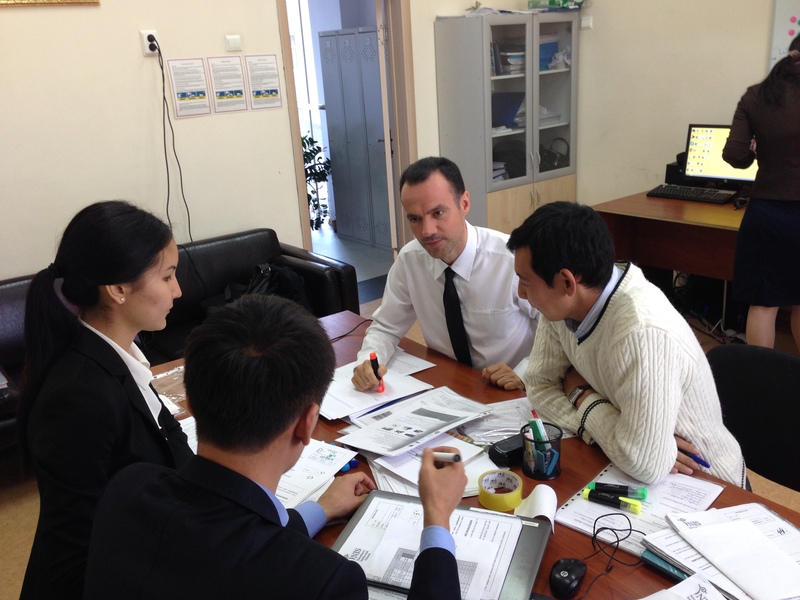 Below is a short account of my day-to-day life here in Shymkent.